Unofficial northern capital of Russia,,ru,It attracts tourists with lots of attractions,,ru,a variety of festivals and exhibitions,,ru, St. Petersburg, привлекает туристов огромным количеством достопримечательностей, множеством фестивалей и выставок, unique collections of museums and a rich repertoire of theaters,,ru,St. 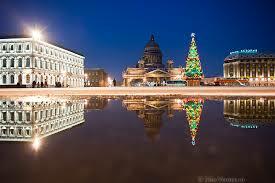 Petersburg has long been the capital of the Russian Empire,,ru. Санкт-Петербург долгое время был столицей Российский империи, and its suburbs are magnificent palace complexes,,ru,Walks in Peterhof,,ru. Прогулки по Петергофу, Tsarskoye Selo and Pavlovsk complement the rest in St. Petersburg and will make a lasting impression on visitors,,ru,We offer you,,ru,Excursions in consolidated group,,ru. on Christmas and New Year in St. Petersburg,,ru,race,,ru,u.e of,,bg,The price includes,,ru,hotel accommodation,,ru,with breakfast,,ru,excursions according to the program,,ru,entrance fees to museums,,ru! from 250 у.е на 1 man! – экскурсионное обслуживание по программе, включая входные билеты в музеи. Perhaps also order transfers,,ru,airport / railway station,,ru: аэропорт/жд вокзал – hotel – аэропорт/жд вокзал.